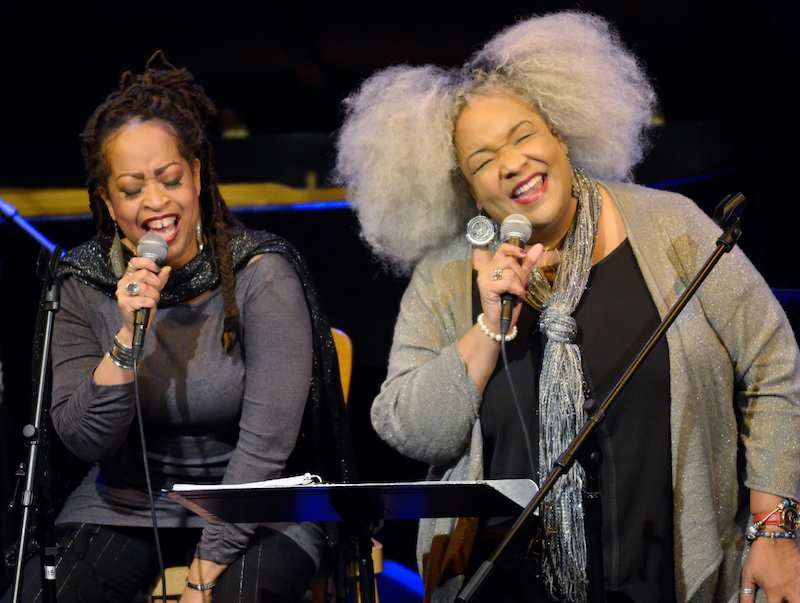 Two of the region’s most exciting, accomplished vocal artists, Wanda Houston and Samirah Evans kick-off the Berkshire Gateway Jazz Weekend, teaming-up for an evening of classic jazz and blues duets. Their repertoire and styles run the gamut, from blues-flavored to straight-ahead jazz and popular tunes. During her 25-year career as a performer and recording artist, Samirah Evans has become known for her dynamic, soulful approach to jazz and blues, among other genres. Her musical style is also heavily influenced by the New Orleans sound: she was one of the city’s most popular and in-demand singers before moving to New England after Hurricane Katrina. Evans dedicates time to perpetuating indigenous American music. She was a long-time participant in the Blues Schoolhouse program sponsored by the International House of Blues Foundation, and served as a volunteer show host on the New Orleans Jazz and Heritage radio station, WWOZ, for over 10 years. In her adopted home town of Brattleboro, Vermont, she founded a musical mentoring concert program, bringing artists and their proteges into a jam session setting with area musicians. Wanda Houston is a professional singer, actress and song stylist who has traveled the stages of the world searching for the perfect song and performance. Her travels brought her to The Berkshires in 2001 where she has continued to “search” in musical theatre, jazz, gospel, R&B, blues, folk and rock-‘n-roll. One of today’s outstanding interpreters of vocal jazz and blues, Wanda grew up singing gospel music in church and with her family’s theater group. She has led an active career as an actress performing on the grand stages of Los Angeles, Las Vegas and Broadway. She is a great singer as well as a superb storyteller; coloring the spaces between her songs with fascinating stories of her youth and the trials and tribulations of life on the road.